Life, Laughter and Paris: Puttin' on the Ritz! Walking along Sherbrooke St. this morning, I saw what I've been waiting for. 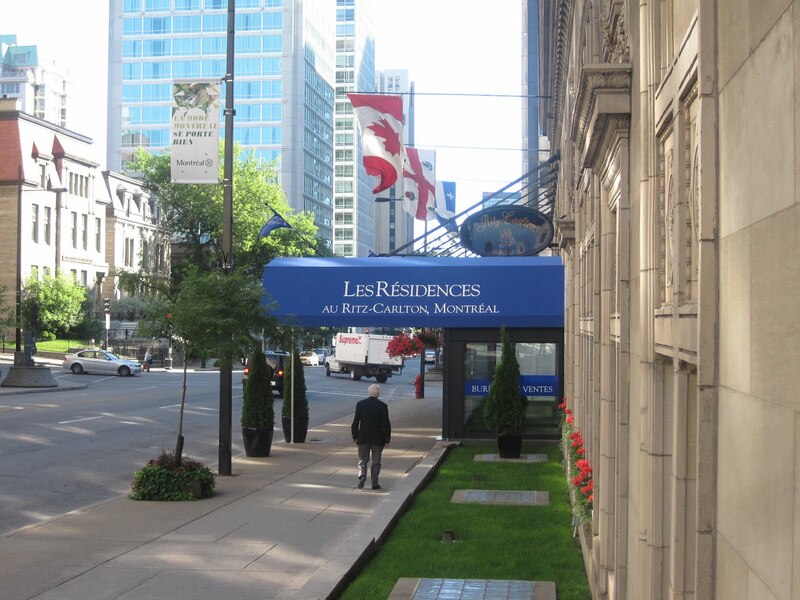 The former Ritz-Carlton Hotel is now Les Residences Ritz-Carlton and you can actually live there! Well, when I say 'you' I really mean 'me', but when I say 'me', I mean 'me' if I had a lot of money versus owing a lot of money. I think this would be a terrific place to settle down surrounded by great restaurants and downtown excitement but without the riff-raff. As I stood on the step to take this photo, a man in a suit came out most probably to sweep me away. Now that's what I call taking care of the property! If I wasn't rushing off (read running away) I would have tipped him. Sue! ... OMG!! you are soooo funny!! But you're right ...It certainly would be a great place to live and let live.BTW..I love your blog! and you :)I wish my OOPS!... Our little big pooch could read your wonderful thoughts.